In case you hadn't noticed, Kanye West moonlights as the organizer of a small church service for rich/famous/fancy people! And North West has been attending every event and fully stealing the spotlight. Like...THIS! IS! A! VIBE! 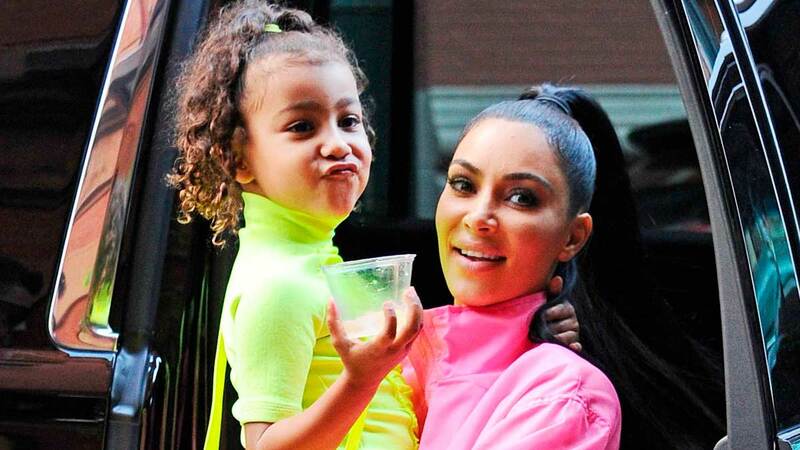 But because the internet is terrible, Twitter has decided to take issue with the fact that North is rocking lipstick at church. Which, ughhhhhhhhhhhhhhhh—she's just a little kid having fun! Anyway, here’' a sampling of tweets for you to eye-roll at. Or agree with, if that's how you roll! Sigh at literally all of this, but um...FYI, back in December, Kim told Refinery29, "I don't think [North] should wear lashes or too dark of a lipstick." That said, she added that makeup "is a form of expression. So I want her to express herself, but I want her to be appropriate too."